The AirUnion alliance has been nearly completely grounded after Moscow's Domodedovo airport refused to service the aeroplanes of member airlines. Domodedovo followed the example of the Krasnoyark airport, because alliance airlines have been unable to pay fuel suppliers. Seven flights are currently awaiting departure from Krasnoyarsk on Thursday morning. There is speculation the alliance could stop flying altogether. State corporation Russian Technologies – which is to become its biggest shareholder this year – isn't providing any financial assistance. 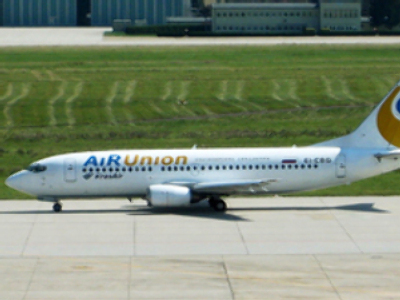 AiRUnion was the first airline alliance established in Russia and includes 5 Russian carriers – Krasair, Domodedovo Airlines, Samara, Omskavia, and Sibaviatrans.